New Phillies starting pitcher Jake Arrieta looks on during a 2017 game between the Cubs and Padres. The Phillies used some creativity (and some helpful recruiting tools) to lure former Cy Young winner Jake Arrieta to Philadelphia. The team may be done making moves for now, but the Arrieta signing capped off a wild couple of months for the Phils, a stretch that saw them vault from a free agency afterthought to one of the most active teams in baseball. Arrieta was forced to lower his contract demands as each day of camp ended without him wearing a uniform. Boras called the Phillies two weeks ago, knowing they still had that binder and were still in desperate need of a starting pitcher. The two parties talked sporadically. A short-team deal, one that the Phillies would’ve pounced on three months earlier, seemed to be in reach. Three years and $75 million dollars. Sounds simple, right? Divide 75 by 3 and ... not quite. As it turns out, the Phillies had to get creative in order to make this deal work out. And it could wind up costing them quite a bit more than the $75 million guaranteed. Like the contracts of Boras clients Eric Hosmer and J.D. Martinez, it appears as if Arrieta’s contract is front loaded and includes an opt out clause. 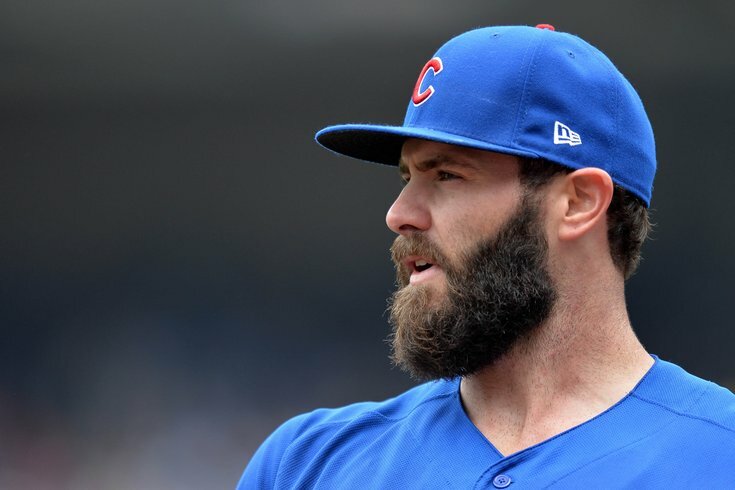 According to Jon Heyman and Bob Nightengale, Arrieta’s 2018 salary is $30 million, but drops to $25 million in 2019. Arrieta’s opt out clause apparently is an option at the end of the 2019 season with a 2020 salary set at $20 million. Heyman has also reported the Phillies have the option to void the opt out and establish a two-year contract extension that begins at $20 million per year. It also appears there are various performance incentives as well. In total, the contract has the potential of reaching $135 million. The Phillies are spending unlike any other team this offseason. But will that translate into instant improvement? And if so, how much? Obviously, the addition of a former Cy Young winner in Arrieta has his new Phillies teammates excited. So excited, in fact, that several packed into the back of Tuesday's press conference to get a first look at their new starter before the team's morning workout. “I don’t know what other thought there would be other than it’s a great move for us,” catcher Cameron Rupp said. “How can you think otherwise? It’s exciting. It’s a guy who has established himself in the big leagues, been to a World Series. There’s a lot of good things that can come from not only having him on our pitching staff, but in our clubhouse as well..."
You might want to thank Tommy Hunter for putting in a good word with the Phillies' new ace. Tommy Hunter's biggest pitch for the Philadelphia Phillies came before he even took the mound for his new team. "I've been on the phone with him this whole entire offseason to see if it can work out," Hunter said Monday. "I was coming hard. It's not up to you as a player or a friend. Ultimately it's up to the people in charge to get this done, and they did it." Arrieta's a big boy and any deal can't get done without him signing off on it, no matter how hard Boras tries. He just became the highest-paid (on average) player in the history of Philly sports – that's all of the teams, not just the Phillies – so it's hard to see how this "broken system" let him down. Oh, and he can opt out after two years. In his 2015 Cy Young season, Arrieta's fastball was clocked at an average speed of 94.9 mph, according to PITCHf/x. Last season, however, his fastball velocity was down considerably, falling to 92.6 mph on average. Is that a cause for concern? Arrieta, 32, did not deny the velocity drop. But he made it clear that there's more to pitching than a big fastball.